Chocolatiers from around the world gathered at Claridge’s Hotel in London, UK, this week to celebrate at the annual Academy of Chocolate awards party. 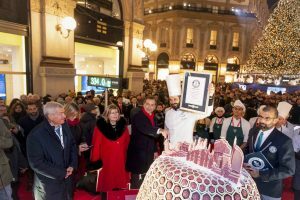 Confectionery Production played its part in the judging of the event, which featured a total of 1,200 entries from around the globe, an increase of 400 on last year, with experts gathering to offer a collective verdict in 14 categories. One producer, Qantu Chocolate, achieved double success in its key Golden Bean category. The company’s Chuncho 70% and Morropon 70% bars, using rare beans from Peru, were tied at the end of the blind tasting before the judges found them to be from the same chocolate house. 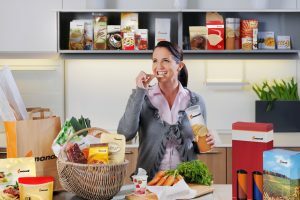 Judges noted there was a significant rise in entrants from smaller producers, representing a total of 45 countries, with chocolate including Argentina, Germany, Brazil, USA, UK, Colombia, Indonesia, Korea and from across Europe. Meanwhile, all four winners of this year’s Rising Star awards were debut entries and relative newcomers to the world of chocolate altogether. 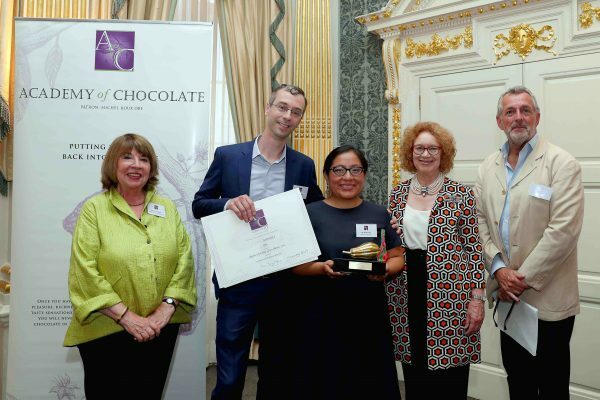 Notably, all but one of the special awards winners were women chocolate makers and in a number of instances these women had an arduous journey to success and demonstrated great determination as well as skill. Speaking to Confectionery Production, Academy Chairman Sara Jayne Stanes OBE explained the winners had produced some ‘stunning’ results and felt there had been an exceptionally strong competition for this year’s honours. She said: “We are particularly happy about the overall quality, craftsmanship and enthusiasm shown in the entries. We are thrilled at the talent and creativity of newcomers, and we applaud the constant brilliance and expertise of regular entrants. “It was an amazing evening, especially as we had so many entrants from all over the world. There are many people who are now making such good chocolate, which is incredible given that it’s such a complex product with so many characteristics. Though we couldn’t call it a revolution, we are certainly seeing justice being done to cocoa bean. It was great to see Chocolat Grace gain a Golden Bon Bon this year, having been a rising star last year. 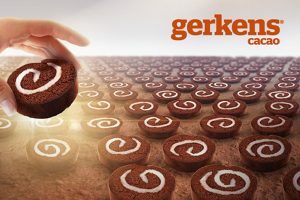 “When we started out in 2004, there were just a tiny amount of chocolate makers in those days, which has changed beyond all realms of imagination. Given that chocolate has been around for thousands of years, it’s amazing to see just how far it has come in the short time that we have been here as an academy. There has been a significant change in the quality of what is being produced,” enthused the chairman, who said that a major reason for this was the growth of the internet and social media, which had made accessing information on new producers from around the world far easier than ever before.